Not every garden in the world is just well-shaped bushes and trees + fountains + benches. Sometimes gardens keep interesting stories, tell the tales of the Universe or provide inspiration for the paintings of famous artists. Choose your next fairy-tale trip in one of these stunning colorful spots. This garden sees seven million flowers, hand-planted every year. 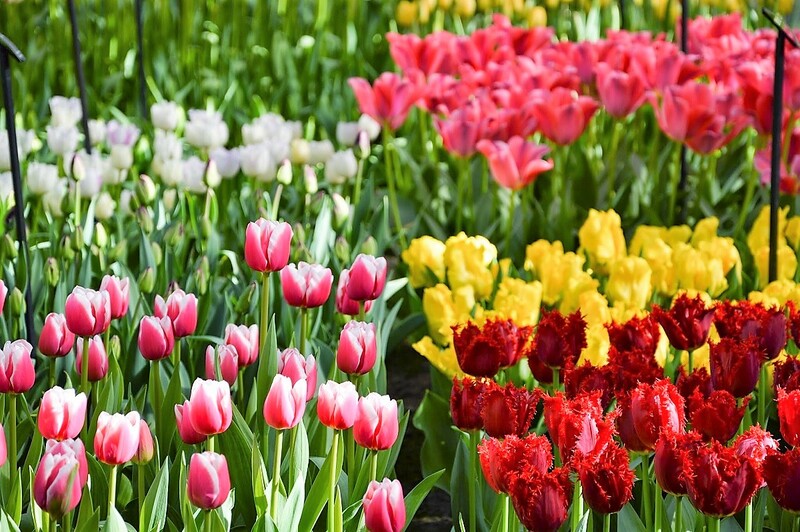 There are more than 100 varieties of tulips alone. Almost one million people a year visit the park. It is located not far from Amsterdam, near the town of Lisse. Open only March – May. 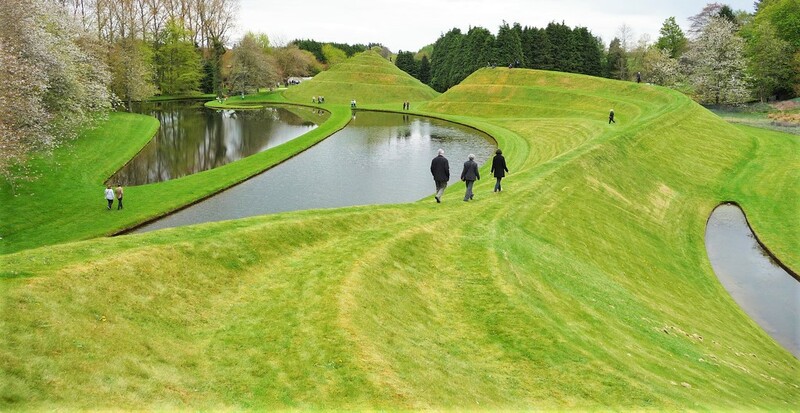 If Alice’s Wonderland did exist, then it would certainly be in Dumfries, Scotland under the name of the Garden of Cosmic Speculation. Inspired by science and mathematics, black holes, DNA molecules and parallel universes, the architect Charles Jencks has created this unusual space as living proof that logic and creativity are not always mutually exclusive. The garden is private but usually opens on one day each year through the Scotland’s Gardens program and raises money for Maggie’s Centres, a cancer care charity named for Maggie Keswick Jencks, the late wife of Charles Jencks. 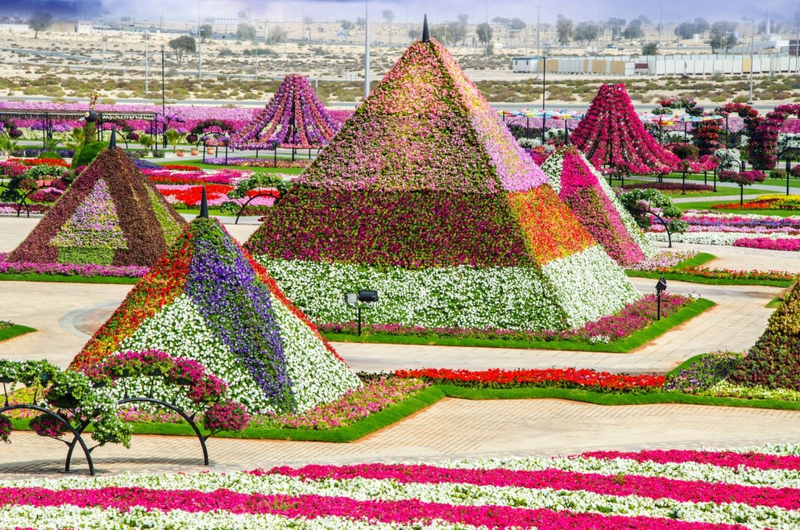 It is hard to imagine that the biggest flower garden could appear in the middle of a desert, but for years now Dubai has been showing the world it is a land of paradoxes. 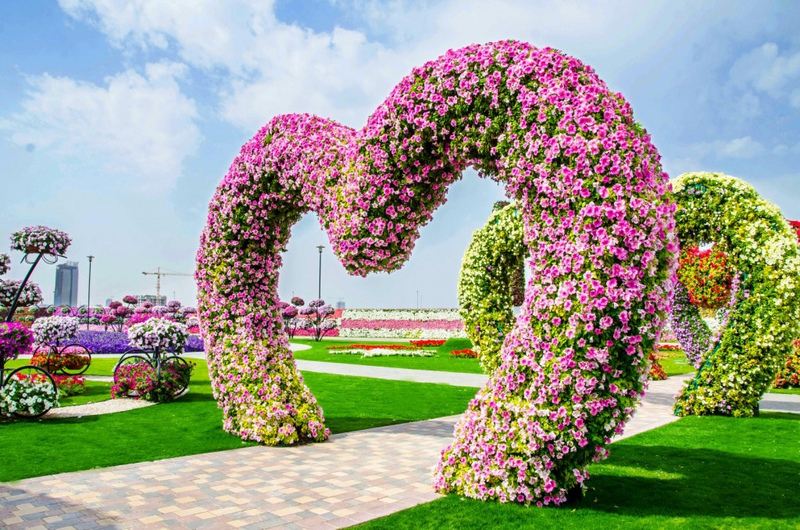 Dubai Miracle Garden spreads over an area of 72,000 sq. m (775,000 sq. 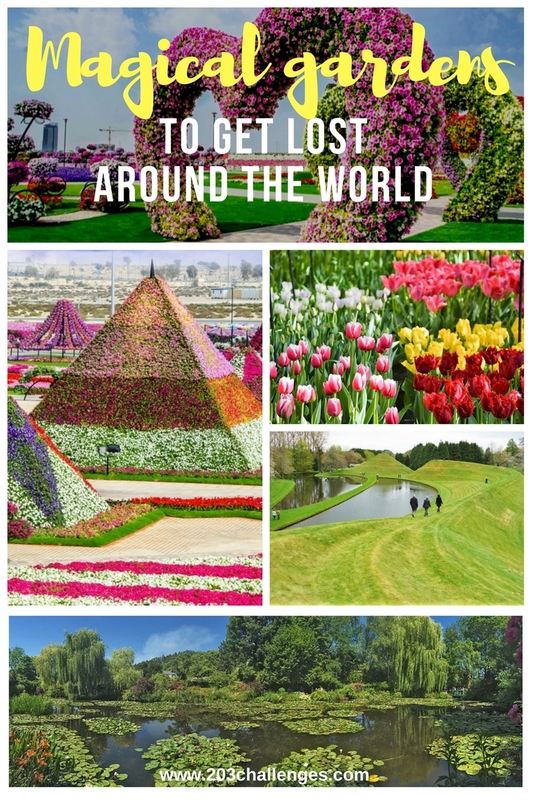 ft) and features more than 45 million flowers, 4 km (3 mi) of passages and walkways among the flowers, and a 1 km(1,000 yd) flower wall. If you’ve seen the painting with the lilies by the French artist Claude Monet and you wish to see it in real life, visit the artist’s house just outside Paris. Water lilies blooming or not, sitting in the garden of the father of Impressionism is like becoming part of one of his paintings: the Japanese footbridge is just before you, the house and the garden have been restored to their appearance from Monet’s time.